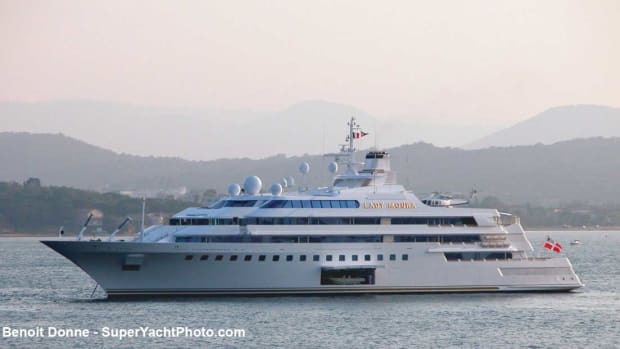 Lady Moura was, at the time of her 1990 launch, one of—if not the most—expensive yachts ever built. She also has the distinct honor of keeping the same owner, Saudi billionaire Nasser Al-Rashid, since her launch. Her build required four years of collaboration between Italian designer and architect Luigi Sturchio and German shipyard Blohm + Voss.